A dental abscess is a collection of pus that can form inside the teeth, in the gums, or in the bone that holds the teeth in place. The bacteria present in our mouth acts on the carbohydrates consumed and produce acid. This acid causes dental decay, which can progress into the deeper layers of the tooth. When it reaches the innermost layer of the tooth, it causes pulpitis, a pulpal inflammation. The result is a periapical abscess. The abscess can also occur in the gums and in relation to an erupting third molar. Let us understand in detail the types of abscess, its causes, and treatment. The abscess is only in the gum tissue and does not affect the tooth or the periodontal ligament. Bacterial infection causes this due to tooth decay, rough brushing, food stuck along the gum line. Traumatic injury or any excessive orthodontic force on the teeth can also create a gingival abscess. This abscess starts in the supporting bone tissue structures of the teeth. The periodontal abscess is an acute destructive process resulting in localized collections of pus. This abscess communicates with the oral cavity through the gingival sulcus or other periodontal sites (1). This abscess originates from the pulp of the tooth and accumulates beneath the tooth root (2). Carious lesions failed endodontic treatment, trauma to a tooth, excessive orthodontic forces can cause a periapical abscess (3). This is seen mostly in an association of an erupting third molar tooth. 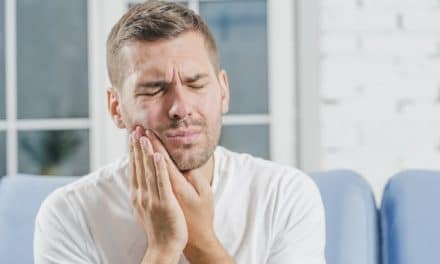 When the wisdom tooth is incompletely erupted or is partially impacted, the overlying mucosa also called operculum, acts as a trap with the accumulation of food debris and bacteria. This results in a pericoronal abscess (4). In severe cases, it becomes hard to open your mouth and have difficulty swallowing or breathing fully. Oral bacteria combine with food particles and saliva to form plaque. This plaque builds up on teeth when not removed with brushing and flossing. 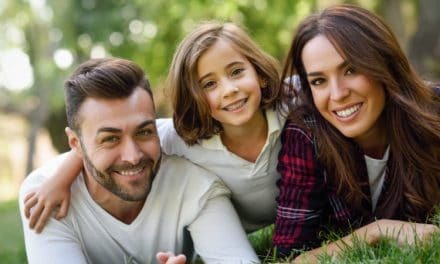 Bacteria in plaque transform carbohydrates into the energy they need for reproduction, resulting in the production of acids as a byproduct that leads to tooth decay. Untreated tooth decay advances through the enamel and dentin into the pulpal tissue, resulting in pulpal inflammation (7). Decay into the dentin will lead to symptoms of thermal sensitivity, and once into the pulp, acuter toothache. Pulpal inflammation can lead to pulpal necrosis. The pulp chamber becomes infected with bacteria that communicate via the pulp canal to the bone under and supporting the tooth with the development of a periapical abscess. If left unattended, the abscess penetrates through the cortical bone and can involve the potential spaces created by fascial insertions. Once a dental abscess extends beyond the bone into the surrounding soft tissue, inflammation develops, also called cellulitis. In this stage, suppuration or the pus is often present but is not localized to a specific area. A space-related abscess develops when the infection with suppuration becomes localized. Once the infection is in the soft tissue, infections can spread by direct extension through the mucosa, skin, or muscle, or along the anatomic fascial planes or layers (8). Fascial spaces at lower risk of serious complications are localized to the jaw and include the hard palate, maxillary and mandibular alveolar ridge, or vestibule. Moderate to severe risk areas include the soft palate, submental, sublingual, submandibular, submasseteric, peritonsillar, mentalis, and infraorbital spaces. High-risk areas include multiple fascial space infections and infections involving the fascial planes of the neck, parapharyngeal, temporal, periorbital, pterygomandibular, or parotid spaces. These high-risk areas have a higher imminent risk for more potential severe complications such as airway involvement, eye involvement, brain abscess, or cavernous sinus thrombosis. Bacteria in plaque adhering to the teeth and gums can also lead to inflammation of the gums. Chronic gingival inflammation can lead to periodontal disease with loss of supporting periodontal tissue and compromise of the periodontal ligament with bacterial invasion and development of a periodontal abscess. This is an endodontic procedure to remove the abscess from the root of an affected tooth before filling and sealing it (9). Removing the affected tooth may be necessary if root canal treatment is no longer an option. This is done under antibiotic coverage to prevent the spread of infection. When the abscess is advanced, a small incision is made in the gum to drain the abscess (10). If the abscess has advanced to space infection or cellulitis, hospitalization and emergency treatment are indicated. Bacteria enter the tooth through cavities caused by tooth decay or caries. This begins to form in the hard outer layer of the tooth, enamel and eventually breaks down the softer layer of tissue called dentine. If the decay progresses, the cavity extends in the soft inner pulp of the tooth and become infected. This is known as pulpitis. As the pulpitis progresses, the bacteria make their way to the bone that surrounds and supports the tooth, called the alveolar bone, and a periapical abscess is formed. When bacteria present in plaque infects the gums, the condition develops into periodontitis. The gums become inflamed, and the bacteria start destroying the tissue surrounding the root of the tooth and the bones. A periodontal pocket begins as a tiny gap between the periodontal ligament and the tooth root. The pocket starts accumulating food particles and is very hard to keep clean. The bacteria thrive in this periodontal pocket and forms a periodontal abscess. Patients can also develop periodontal abscess as a result of a dental procedure which accidentally resulted in periodontal pockets, but such instances are very rare. 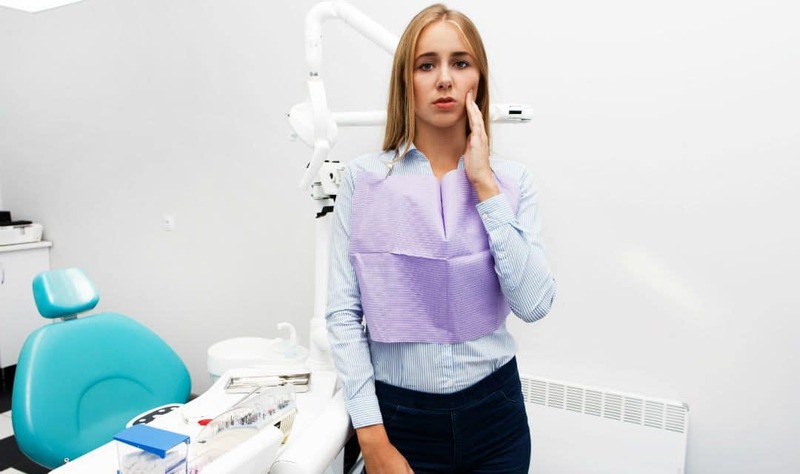 When a tooth is incompletely erupted or partially impacted with incomplete access for cleansing, the overlying mucosa traps the food debris and bacteria from plaque results in abscess called pericoronitis. This is most commonly seen with partially erupted lower-third molars. 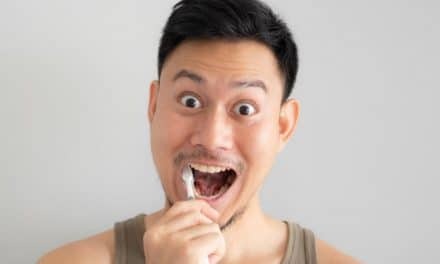 Plaque buildup on teeth due to improper and irregular brushing habits is the first step for the development of an abscess. Consuming sugary or starchy food and drink can encourage the growth of bacteria in plaque and can lead to decay which if left untreated progress to abscess. Any trauma or injury to your teeth or gums can transfer the bacteria into the damaged parts of the teeth or gums. People with certain health conditions, such as diabetes, and those having steroid medication or chemotherapy are more prone to develop an abscess. Brush your teeth with good fluoride toothpaste twice a day. Use floss or an interdental brush at least once daily to clean between your teeth and also under the gum line. Cut down on sugary food and drinks particularly between meals or shortly before going to bed. Visit your dentist regularly, do not ignore any dental cavities or gum swelling as it can progress into an abscess. Scaling and primary oral prophylaxis at a dentist office should be done every six months. By following this, you can eliminate the chances of developing a dental abscess.